Insurance Companies Could Profit From Fewer Customers Under GOP Plan : Shots - Health News As House Republicans and the White House try reach a deal on a plan to repeal parts of the Affordable Care Act, much of the insurance industry likes what it's seeing. 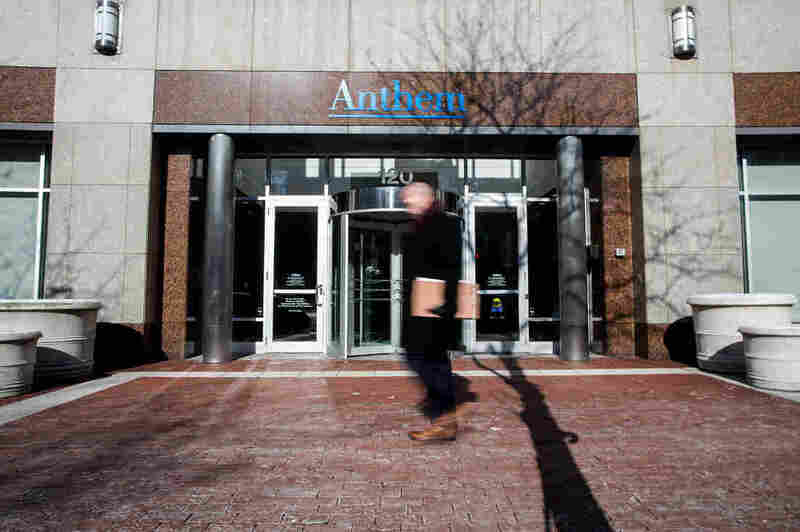 The health insurance company Anthem has said the GOP bill would benefit both insurers and individuals. The House Republicans' embattled health care bill has plenty of detractors: Democrats, hospitals, the American Medical Association and the House Freedom Caucus all oppose it. But the insurance industry is not on that list, even though it stands to lose millions of customers. One reason is that insurers' profits are expected to fatten under the bill. The GOP's replacement plan would likely attract more consumers who are younger and healthier to the individual market than the Affordable Care Act did, according to the corporate credit rating firm Standard & Poor's. The ACA tilted the opposite way, offering more options for older, sicker Americans whose health care claims eroded insurers' profits. "Profitability will likely improve, as the replacement plan can result in an improved risk pool in the individual market," S&P said in a report on the House leadership's initial plan. A vote on the GOP bill is expected Friday afternoon, and on Friday morning it remained unclear whether there were enough votes to pass it. The Trump administration has said if the measure doesn't pass Friday, it will abandon the effort to replace Obamacare. Under the current health law, an insurer is allowed to charge a 64-year-old consumer a premium that's three times what it charges a 21-year-old. The House bill allows insurers to charge older consumers premiums that are five times higher. That change would reduce premiums for younger consumers but boost them significantly for people in their 50s and 60s, even with tax credits that increase for older people under the GOP plan. The insurance company industry group America's Health Insurance Plans, or AHIP, has expressed concerns but hasn't taken a formal position for or against the bill, and says the legislation's provisions would give short-term relief to insurers that have mostly been losing money since the exchanges launched. Those provisions include giving states $100 billion over 10 years to start high-risk pools and stabilization funds to help insurers deal with higher-risk customers. One of the most significant benefits for insurers is the elimination of a tax that all insurers pay under the ACA. The industry paid $8 billion in 2014 and is expected to pay $14.3 billion in 2018, according to an analysis by Cigna. Congress temporarily suspended the fee for this year. Insurer opposition to the tax was one of the main reasons why the insurance industry chose not to support the ACA when it was approved in 2010. However, the industry did build support for the law by throwing its weight behind a requirement that insurers provide coverage to consumers with preexisting conditions in exchange for a mandate that most Americans have health coverage. Although many conservative Republicans favor ending the individual mandate, the GOP bill, at least as originally proposed, would instead require that Americans keep continuous health coverage or pay a 30 percent penalty if they buy private coverage later. Many of the nation's largest insurers, such as UnitedHealthcare, Cigna and Aetna, were never large players in the exchanges set up under the ACA, or they have pulled out citing steep financial losses. For them, the elimination of the health insurer tax makes the GOP bill appealing, says Ana Gupte, a health analyst at the investment bank Leerink. "The GOP bill is a net positive" for those insurers, she says. Even insurers with many customers on ACA policies now could be better off financially under the GOP bill, Gupte says. "They will make a bigger [profit] margin on a smaller number of people," she explains. 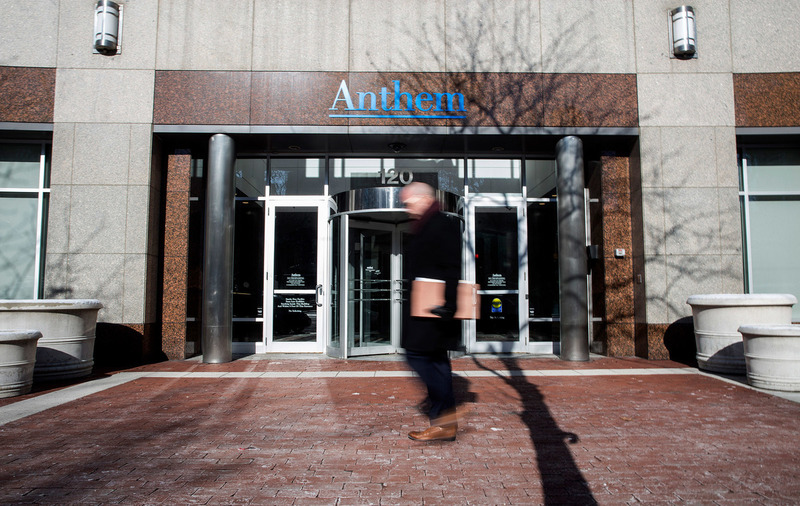 For example, Anthem, a big player in the Obamacare marketplaces, has said the GOP bill would benefit both insurers and individuals by ensuring that insurance companies stay in the market to provide choices for consumers. Not all insurers are enthusiastic about what's in the House bill, however. Those that are mainly in the business of managing Medicaid services under contracts with states, such as Molina Healthcare, oppose the bill because of the expected sharp reductions in Medicaid if it is enacted. AHIP spokeswoman Kristine Grow said the group remains concerned about the long term stability of the Medicaid health plan market because the GOP bill would kill the Medicaid expansion and reduce federal Medicaid funding to states. She also said it's too early to know how 2018 premiums would be affected under the GOP bill. A big uncertainty for insurance companies is whether the Trump administration will continue to fund a key program under Obamacare that helps low-income individuals with out-of-pocket health costs. The program's future is of concern to Dr. J. Mario Molina, the CEO of Molina Healthcare, which has 3 million Medicaid members and nearly 1 million customers on Obamacare exchange plans. The company is based in Long Beach, Calif., and operates in about a dozen states. "The main thing I am worried about is this bill will cause millions of people to lose insurance coverage," Molina says. Regardless of what Congress and the Trump administration decide to do with Medicaid's federal funding, Molina predicted more states will shift Medicaid recipients into managed care plans to control costs. "In the short term, we will still grow," he said.